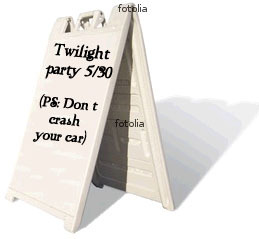 What if there was a Twilight theme park? You see, I have a crazy Twilight fan as a friend. One who is out and proud. One who sports the Twilight t-shirts without thinking twice. While I’m not quite there, I do owe her. 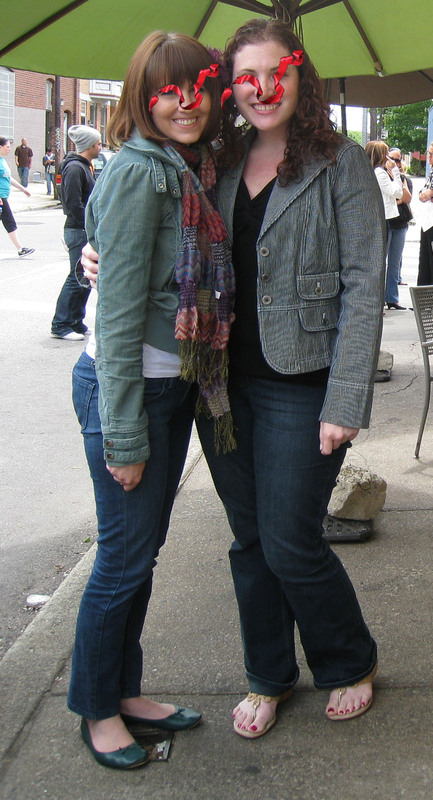 Cause she did introduce me to the Edward Cullen greatness. 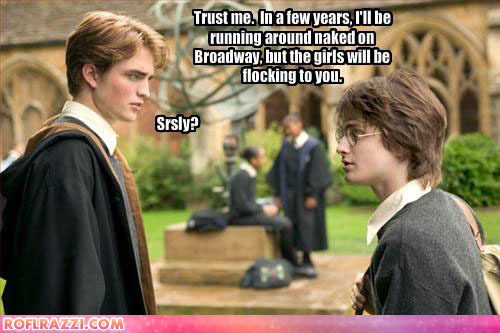 (Well…after I saw Cedric was playing Edward that is…) Now, this friend isn’t a Harry Potter fan. How we are still friends, I will never know. I think it is the Twi-talk that holds us together. Anyways, sometimes I forget she doesn’t like Harry Potter (or maybe I just ignore it..) and I start to talk about things. Like the fact that I am super excited about this theme park. And it never fails, she always changes the topic of convo to Twilight. Always. So as I talk of fantastic HP rides and Hogwarts, she brings up the idea of a Twilight theme park. And that got me thinking…Would there ever be a Twilight theme park? Do I even want one? What the (Jasper) Hale will be in a Twilight theme park? So let’s answer those questions, shall we? Good. We’ll start with that last one. What would be in a Twilight theme park? They recreate Forks High School and there is a large restaurant in the cafeteria of the school. It has a menu that serves up the best that high school lunches have to offer and servers dressed like lunch ladies. Think Chris Farley during the Lunch Lady skit from SNL. A souvenir shop filled with the best Twilight crap ever. Where else are you going to get your Buttcrack Santa bobblehead and pair of official wolfpack jorts? Nowhere else, that’s where. As for rides, here’s what I’ve got: The Volvo Ride of Doom. Here’s the concept: while riding in a cart that resembles a Volvo, you speed along dark highways at high speeds dodging other cars and people that walk across the street. I mean, these are just some of the ideas I’ve thought up so far. (actually…that’s pretty much all I’ve got..) So let’s move on to the next question. 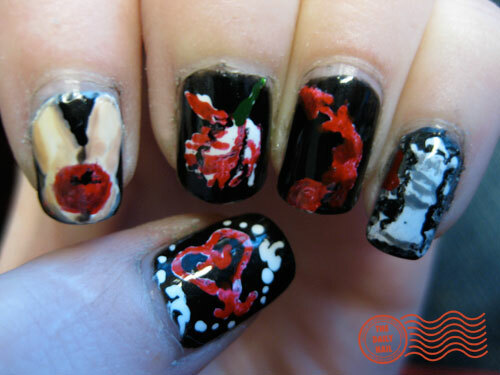 Don't forget to get your nails done before visitng the Twilight theme park! 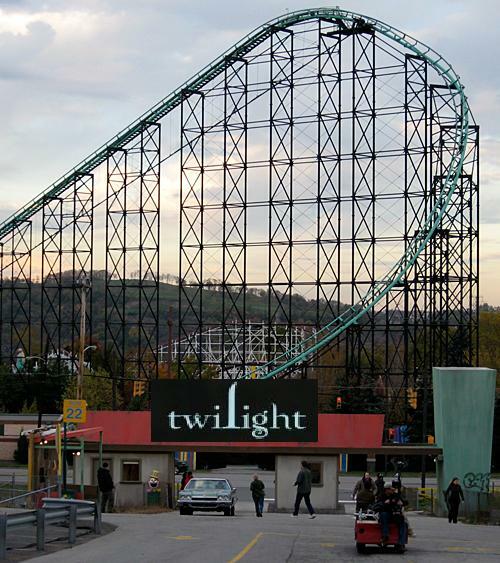 Will there be a Twilight theme park in our future? Here’s my simple answer: I don’t know. People would definitely flock there. People would probably make a lot of money from it. But is there really enough content in the stories to make an awesomesauce theme park? This is what stumps me. I’m sure other people can come up with more things than I came up with. Although, I bet you the Buttcrack Santa bobblehead would be a best seller. I think I should patent that idea right now. So there you go. If people actually think up and create a Twilight theme park, a Twi-park if you will, will I go? Probably. We all probably will. Or at least think about it. One word: Magic Carpet Ride (except it’ll be on a huge version of Jasper’s Wig). Okay another word (this is fun): Chris Hansen look-a-likes walking around the park, posing for pictures with you for a mere $25.00 while you hold a sign that says “I like ’em young.” What are your thoughts!? 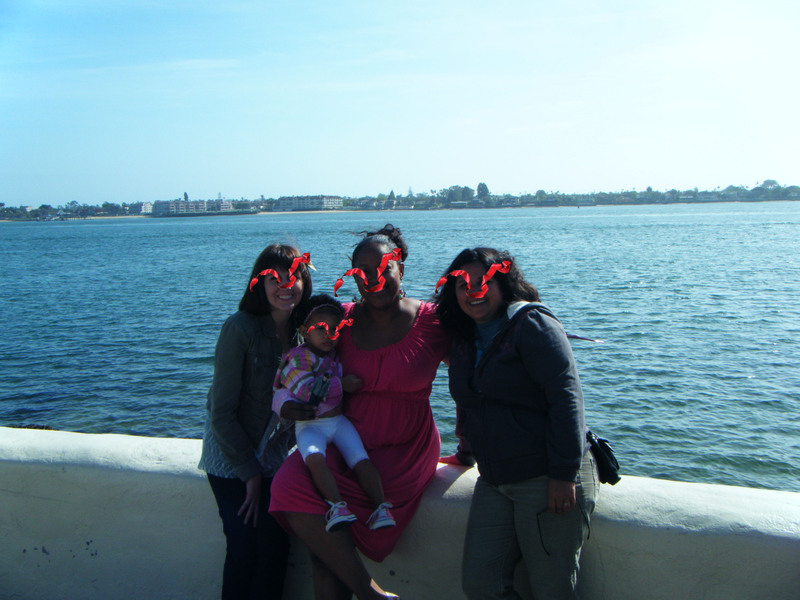 See these hearts? This is to remind you to ENTER OUR VALENTINE’S DAY CONTEST & GIVEAWAY! See this awesomesauce ad for a Twilight Valentine’s Gift Bundle? Know a gal/daughter/cousin/friend/fake lesbian who you still need a vtines gift for? Want us to drop a hint to your hubby/boyfriend/boy you’re fantasizing is Rob/Taylor/Kellan/Yorkie when you close your eyes? We will. Send us his (or her!) email address & we’ll non-nonchalantly mention you just might like a Twilight Valentine’s Gift Bundle. We’re not kidding. Your husband/boyfriend/Rob-replacement will be happy to find a gift and we would LOVE to let him know what you do in your spare time. KIDDING. We won’t tell! Email us if you want us to help you drop the hint! It’s the weekend, so you know what that means- we go have actual lives. 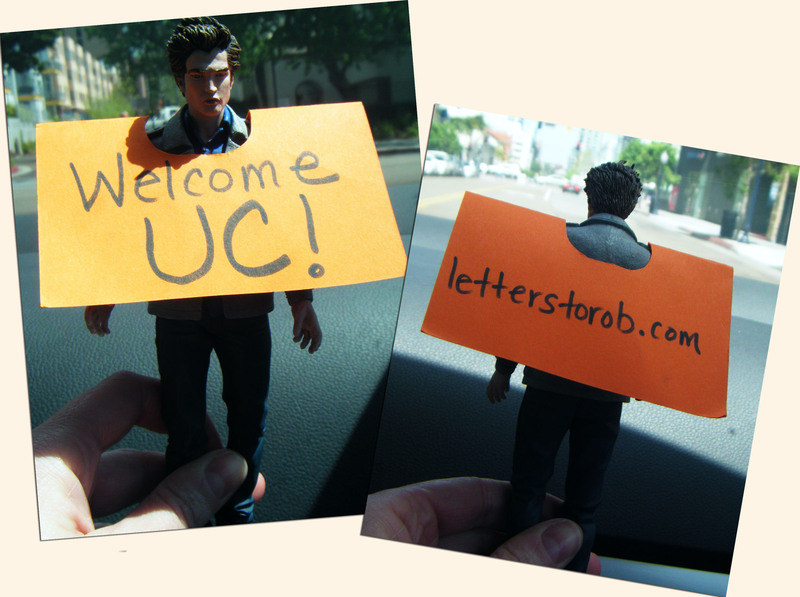 We post short, sweet, simple posts & say “see ya Monday!” Cuz we like stuff other than Twilight. I know it’s hard to believe. But seriously. We do. Now in the past 9 months we may not have had much time for stuff other than Twilight, but that doesn’t mean we don’t like it. Since this is Friday while I’m writing this, tonight, after work, (are you shocked that I blog at work?) I’m going home to pet my 2 cats, eat the rest of the Oreo cupcake my husband brought me home yesterday (aww! ), go out to eat with a few friends and then see the late showing of Harry Potter at the Imax theatre. See? I’m well-rounded. I’m pretty sure her weekend plans involve her grabbing her Hello Kitty pillow, hopping on a plane & heading up to some show in Vancouver. Why Vancouver? Well, it’s been like 13 days since she last saw Rob, and I think she’s dying. But what I really wanted to show you was something I love other than Twilight, but is still Twilight related cause… well, we do run a Twilight Blog. We both loved the movie “500 Days of Summer.” Hopefully you’ve seen it cause it rules. But in case you haven’t, here is the Trailer…. well, kinda…..
Go see 500 Days of Summer immediately if you haven’t yet. I wanna be Zooey Deschanel when I grow up. I hate Mondays. Do you? Plus it’s only 9:45am and my coffee is cold. And I hate microwaving coffee.